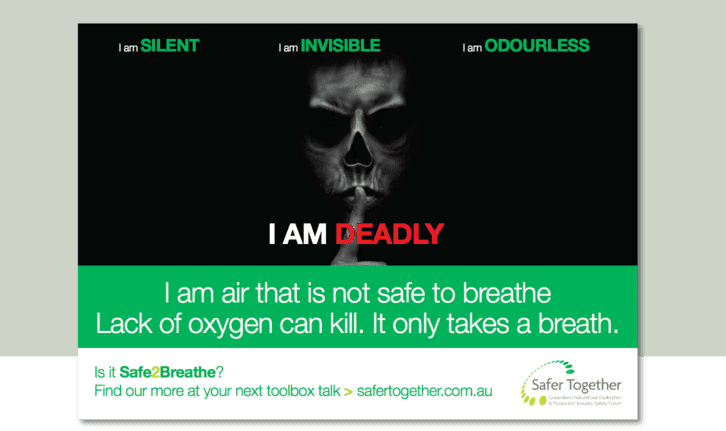 This Process Safety Awareness Campaign is about Oxygen Displacement. Use these materials to roll-out Oxygen Displacement in your organisation. Process Safety Awareness Process safety toolbox resources tailored specifically for the Queensland Natural Gas Exploration and Production Industry.